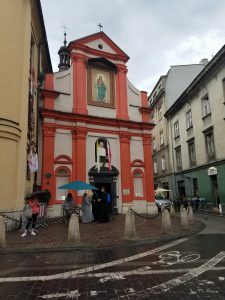 Natalie Pronio, our Youth Minister, is attending World Youth Day in Krakow Poland. 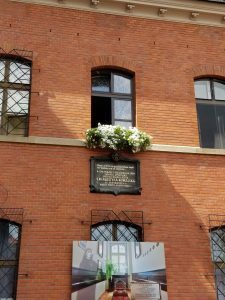 The following is a blog of her experiences. What a joyful day! 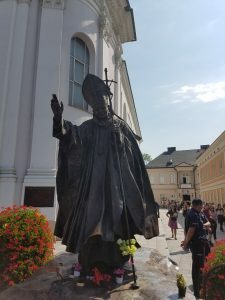 Today we spent time in Wadowice, birthplace of St. Pope John Paul II. 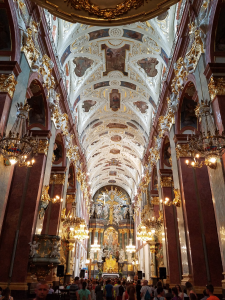 We visited the beautiful Church of the Presentation of the Virgin Mary, where he served for many years, and saw his childhood home from the outside. 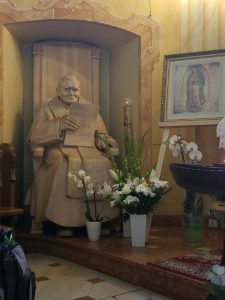 In the church, you can see the baptismal font where Karol Wotjtyła (future St. Pope John Paul II) was baptized. 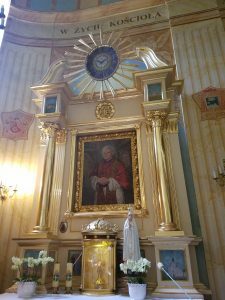 There is also a shrine which holds a monstrance containing a vial of his blood. The number of young people in the Church and praying before the monstrance was unbelievable! 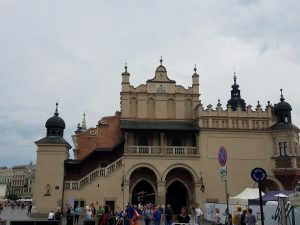 We also traveled to Łagiewniki, in Krakow, to visit the Shrine of Divine Mercy, where we enjoyed a beautiful tour of the grounds, Mass and recitation of the Divine Mercy Chaplet, and were able to see her grave and venerate one of her relics. 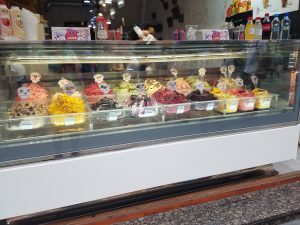 After our time in Łagiewniki, we traveled to downtown Krakow to enjoy some time to explore the city (and have more lody). 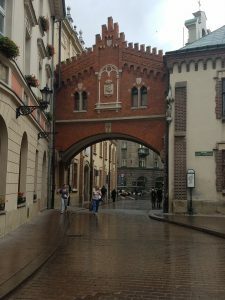 We happened upon a live performance in the middle of the square, featuring an orchestra and traditional Polish dancers! What a treat to see some of the great history of this country, right in the middle of the captial city. 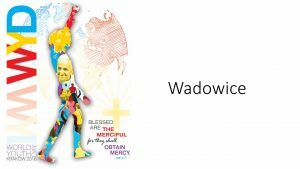 At each stop on our journey today, we were met with jubilant greetings, songs and prayers from other World Youth Day pilgrims from a multitude of countries. It’s amazing to see such a joyful spirit from so many youth and young adults, even in the hot sun and the pouring rain! 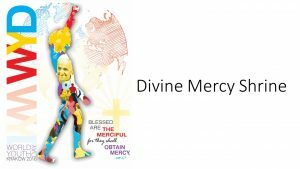 Tomorrow, we will visit the salt mines and attend the opening Mass of World Youth Day with all of the pilgrims who have traveled from around the world to celebrate the mercy of Christ, and to share in the spirit of our faith. July 23 and 24 have been days of, simply put, sitting down. We sat in the bus, we sat at the airport, we sat on the plane. We began Saturday by meeting at the Harrisburg Diocese at 11:00 a.m. to check in and load up the buses. We ended our Sunday by unloading the buses and enjoying a meal together, and now, finally, resting. 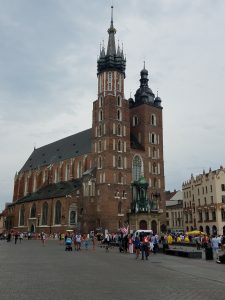 The highlight of our journey so far was NOT the vegetarian sandwiches we were offered on our flight from Frankfurt to Warsaw, nor was it the uncomfortable naps we took laying across tables and chairs at the airport. 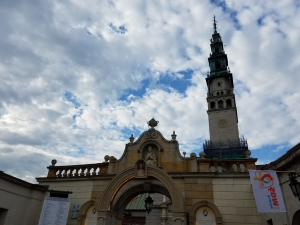 It was the visit to the Shrine of Jasna Gora, a monastery that houses the image of Our Lady of Czestochowa, which we visited today. 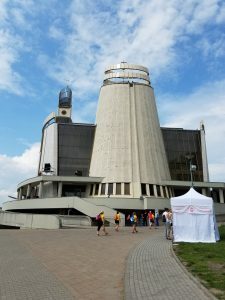 The history of Our Lady of Czestochowa is steeped in both tradition and legend. This miraculous image of Our Lady is said to have been painted by one of the apostles sometime after the crucifixion of Jesus. This icon was a source of strength and hope for so many, both in times of peace and of struggle, and survived multiple attacks and threats to destroy it. 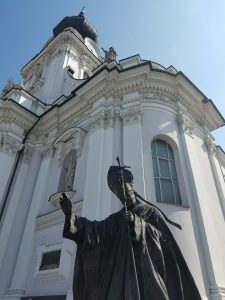 When we walked into the Chapel that houses the icon, I was immediately overcome with a feeling of complete peace. 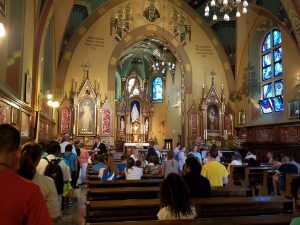 The Chapel was filled with pilgrims, speaking all different languages, but honoring the same Mother of God, and praying for her powerful intercession. 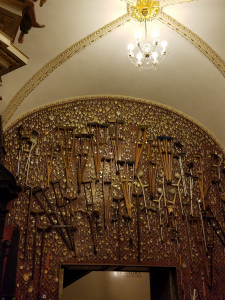 The miracles credited to Our Lady of Czestochowa are countless and spectacular, examples of which can be seen by the walls holding crutches, braces and other items no longer needed by those healed through her intercession. When I saw the wall signifying answered prayers for healing, I was overwhelmed with emotion, and my mind turned to my Uncle Patrick who suffered a massive hemorrhagic stroke in January. Given a less than five percent chance to survive, he is a miracle himself, relearning how to do things that you and I take for granted, and fighting hard to regain strength in his now-immobilozed right side. I noticed that each of the styles of crutches and braces spans not just differences in health care in countries across the globe, but also throughout the centuries. I knelt in prayer amidst pilgrims walking around, their many whispered languages blending into one hushed wind. My prayer then, was for everyone in need of healing, and my hope now is that one day, the braces currently used to hold my uncle’s limp arm and leg could someday be added to that beautiful wall of miracles. 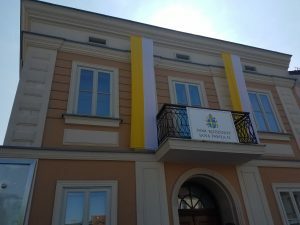 We enjoyed a beautiful celebration of the Mass, in the Chapel of Jasna Gora, with pilgrims from the Dioceses of Erie and San Diego, and from other countries, and celebrated by the wonderful priests who are travelling with us. 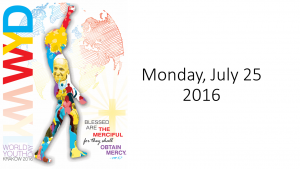 It was such an amazing experience to be at Mass said in English, yet answered in many tongues. What a wonderful example of how we truly are a Universal Church!! 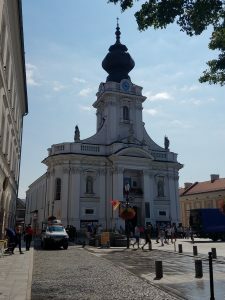 Tomorrow, we will head to Wadowice to see St. Pope John Paul II’s childhood home, and the Church of the Presentation of the Virgin May, where he was baptized. 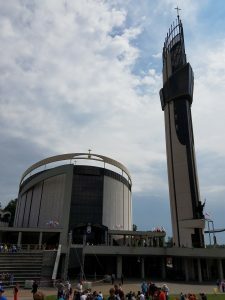 We will also visit the Divine Mercy Shrine in Lagiewniki, enjoy another daily Mass together, and spend some time walking around the city of Krakow.